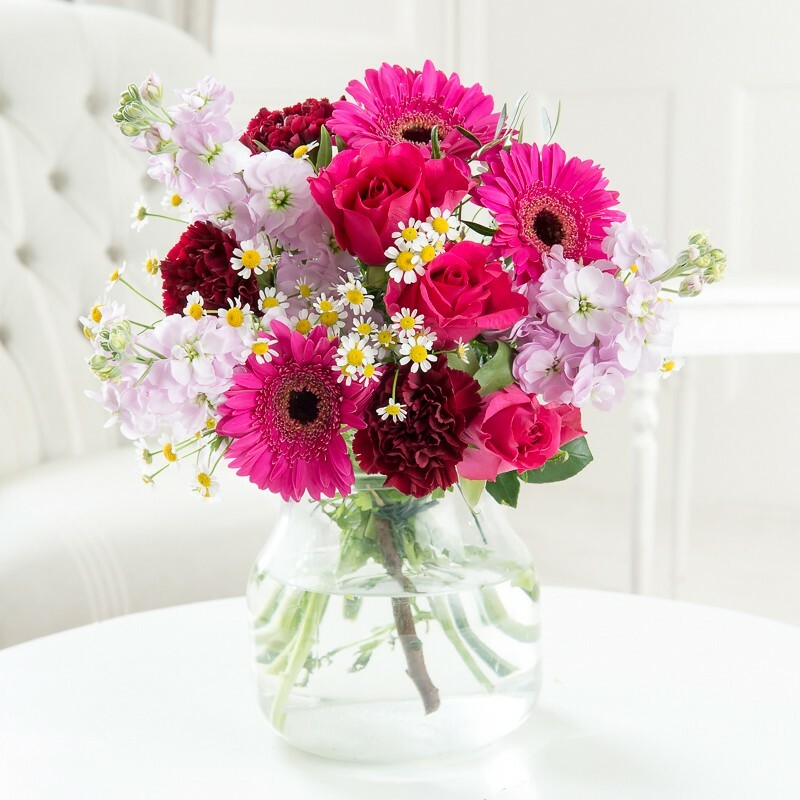 A beautiful gift for mothers day of scented stocks, vibrant cerise roses with textured burgundy carnations and daisy-like tanacetum. This bouquet looks really pretty and my mum loves it. The daisies and the scented stocks give it a wild flower smell, look and feel - amazing. Will recommend and absolutely order again.